This is Nora and King, they are Great Pyrenees pups who I have had the pleasure of working with recently in a few private training sessions. They are already learning basic obedience skills (come, sit, stay, walking on a leash without pulling), but are being trained to be guard protection animals on a farm. At the time this photo was taken they were only eight weeks old. So, why work with pups so young? Because, as a dog owner, you could very possibly be sparing yourself huge behavioral issues later on that can be costly, painful, or even deadly. Puppy play, socialization, and obedience training all go hand in hand to help your puppy develop into a mature, strong, and healthy dog. My blog, talks about the importance of this as well as how critical family dog training is. By getting everyone in the home involved in training the puppy or dog, the process goes much smoother. We offer group puppy/dog classes in the early spring and fall for everything from basic obedience to more advanced classes in pet therapy and service dog work. There is a limit of just 10 pups and dogs per class. Sign Up Here. We work with dog owners every day who have rescued a dog, adopted a dog, or have purchased a dog from a breeder only to find that the pup/dog has behavioral issues, fear or aggression. We travel all over Michigan doing in home dog training so these pups and dogs can stay in their home and won't have to be put down. 99% of the time we can retrain dogs that are fearful or aggressive. Many times we also house runaway or abandoned dogs, work to find their homes, foster homes, sometimes train them, and then find the a good furever home if no one claims them. It is because of funding and support from people like you that we too can keep training dogs and rescuing needy and abused people and pets. Please visit our events page, speaking page, dog training page and our donations page for more information how you can help or get the help you need for yourself, your family, your dog, or even your community! 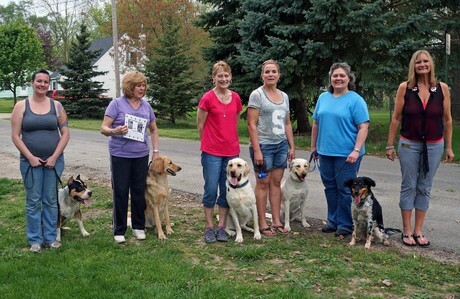 Lisa Freeman, in Owosso, Michigan knows how to train a dog. She gives tips on ways to train your dog, how to train puppies, and specializes in behavior modification and her work with aggressive dogs. So if you're a dog lover or dog owner, you've come to the right place! Check out her weekly blog for insights on dog obedience and curbing bad behaviors. Lisa Freeman is known in her community as "The Dog Lady". She has worked with hundreds of dogs of varying breeds, both small and large, on behavior modification as well as obedience training. She is an AKC Evaluator who has won various awards with her work in dog obedience and pet therapy. She has rescued several dogs, trained them, and placed them in good, safe, forever homes. 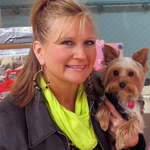 She teaches a variety of workshops from basic obedience and AKC Star Puppy to more advanced classes such as pet therapy and service dog training. She is hoping to offer agility soon.